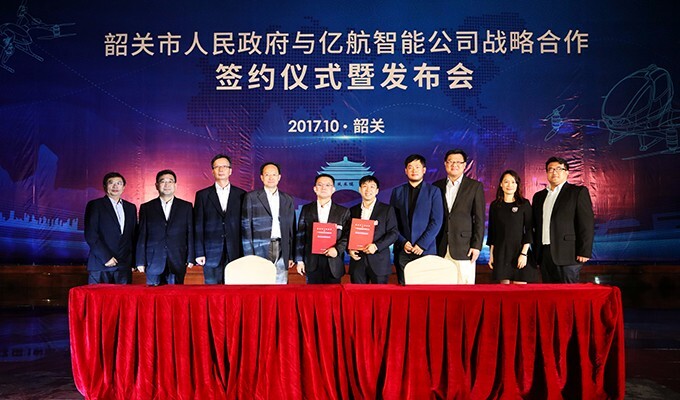 (October 16, 2017, Shaoguan, Guangdong) The world’s leading intelligent aerial vehicles technology company EHANG and the government of Shaoguan, a city in northern Guangdong Province, jointly announced the establishment of strategic cooperation to apply EHANG’s technical prowess in intelligent UAVs (Unmanned Aerial Vehicles) and its flight command and control systems to the integrated government management sectors and innovative tourism industry of Shaoguan, with the aim of making it an leading and model smart city of UAV system applications. 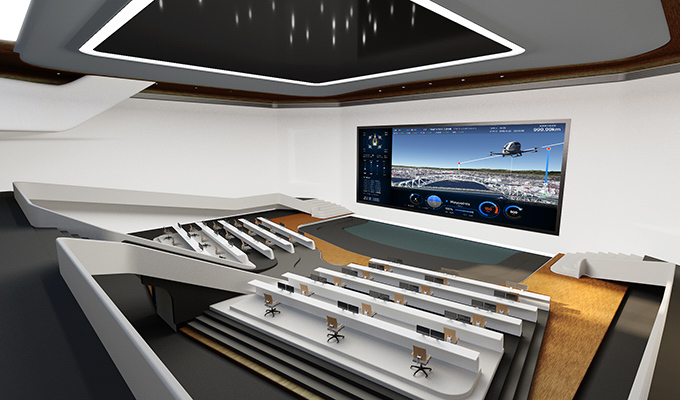 According to the MOU, EHANG is to design and build an intelligent UAV monitoring and command & control center for Shaoguan government. With emergency mechanism as the focal point, the center will highly integrate the features of monitoring and controlling, communication and networking, information collection and distribution, coordination, early warning, recording, and will gain access to the government existing systems of emergency response & management system, video surveillance system, wired/radio communication system, the host system, police GPS and GIS system, government video conference, etc., thus realizing the connection and communication between the center and different government functions including 110, 120 and call centers via texts, images, data and interaction. An advanced media platform will be therefore established for the decision-making and management in tackling emergency situations, ensuring not only that all the incidents/accidents occurring within the administered areas can be clearly, accurately and quickly detected and informed, but also that commands can be smoothly transmitted and promptly reported. Based on the command & control system framework, Shaoguan government is to actively push forward the applications of smart UAVs in tasks of its varied functional departments including police, firefighting, disaster prevention & relief, forestry, environmental protection, land management, urban management, public health, tourism, etc., to boost the efficiency of government’s routine supervision, emergency response, coordination management.